Beverly Hills, Calif., October 28 – Netflix and CBS Corporation announced today a content licensing agreement in which all eight seasons of the SHOWTIME drama “Dexter” will become available for Netflix members in the United States. Beginning on Halloween (Oct. 31, 2013), the first four seasons of the award-winning series will be available to watch instantly; seasons 5-8 will begin on Jan. 1, 2014. Starring Golden Globe winning actor Michael C. Hall, “Dexter” tells the story of Dexter Morgan, America’s favorite serial killer. As a Miami forensics expert, he spends his days solving crimes, and nights committing them. 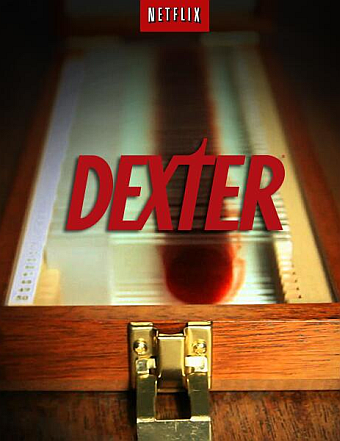 But Dexter lives by a strict code of honor that is both his saving grace and lifelong burden. Torn between his deadly compulsion and his desire for true happiness, Dexter is a man in profound conflict with the world and himself. “We’re thrilled to have ‘Dexter,’ one of SHOWTIME’s highest-rated shows on Netflix, and so quickly after it completed its record-breaking run,” said Ted Sarandos, Chief Content Officer for Netflix. “This is one of the great serialized dramas of the past decade and we know our members will enjoy discovering or reliving the twisted world of Dexter Morgan anywhere and anytime they want.” Read the rest after the jump. CBS Corporation (NYSE: CBS.A and CBS) is a mass media company that creates and distributes industry-leading content across a variety of platforms to audiences around the world. The Company has businesses with origins that date back to the dawn of the broadcasting age as well as new ventures that operate on the leading edge of media. CBS owns the most-watched television network in the U.S. and one of the world’s largest libraries of entertainment content, making its brand – “the Eye” – one of the most recognized in business. The Company’s operations span virtually every field of media and entertainment, including cable, publishing, radio, local TV, film, outdoor advertising, and interactive and socially responsible media. CBS’s businesses include CBS Television Network, The CW (a joint venture between CBS Corporation and Warner Bros. Entertainment), Showtime Networks, CBS Sports Network, TVGN (a joint venture between CBS Corporation and Lionsgate), Smithsonian Networks, Simon & Schuster, CBS Television Stations, CBS Radio, CBS Outdoor, CBS Television Studios, CBS Global Distribution Group (CBS Studios International and CBS Television Distribution), CBS Interactive, CBS Consumer Products, CBS Home Entertainment, CBS Films and CBS EcoMedia. For more information, go to www.cbscorporation.com. Netflix is the world's leading Internet television network with more than 40 million members in 41 countries enjoying more than one billion hours of TV shows and movies per month, including original series. For one low monthly price, Netflix members can watch as much as they want, anytime, anywhere, on nearly any Internet-connected screen. Members can play, pause and resume watching, all without commercials or commitments.